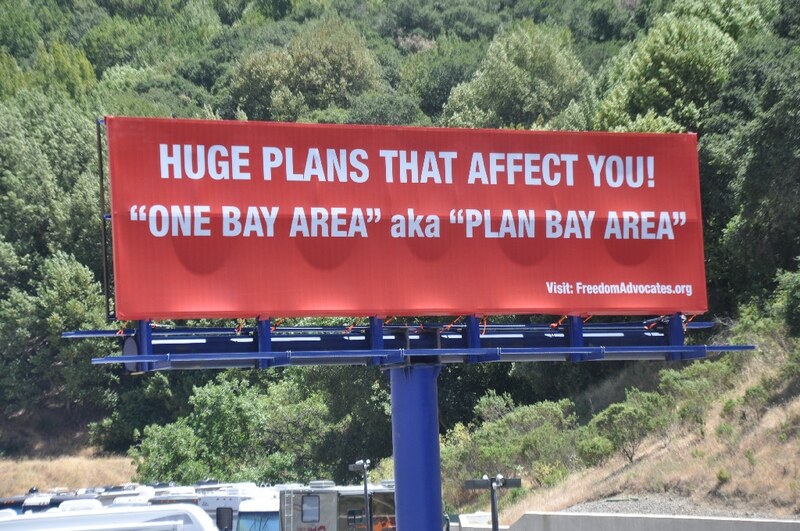 Castro Valley, June 3, 2014 – Citizens for Free Speech, LLC has constructed the first three billboards on I-580, to alert citizens to the massive reorganization of Bay Area life and economic and political structures. 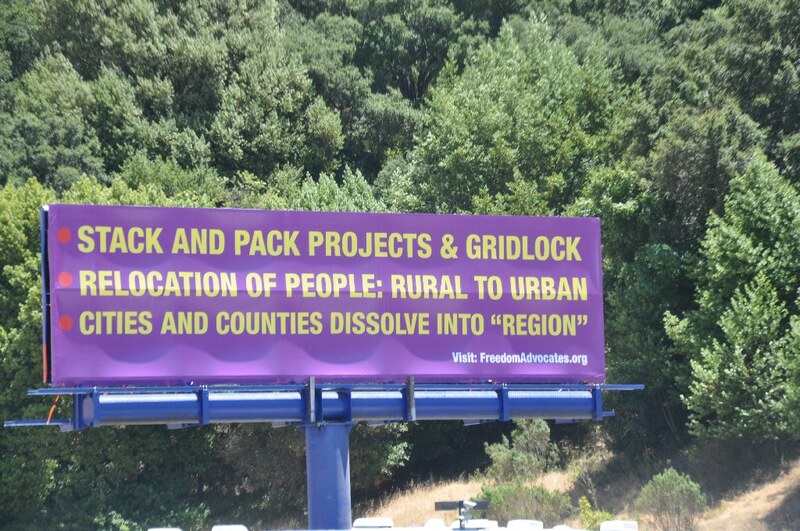 The signs are located at Lockaway Storage in Castro Valley, California. 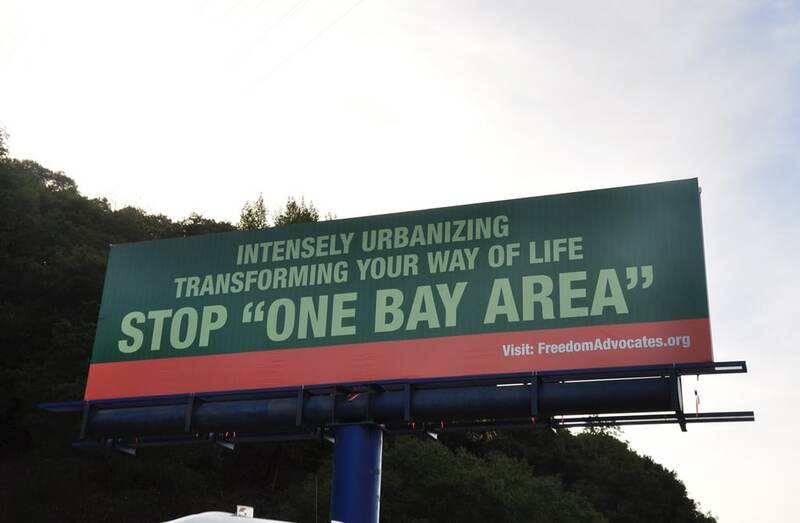 The organizations responsible for this transformation include agencies and Non-Governmental Organizations (NGOs) led by the Association of Bay Area Governments or ABAG. The signs give attention to websites for more information. 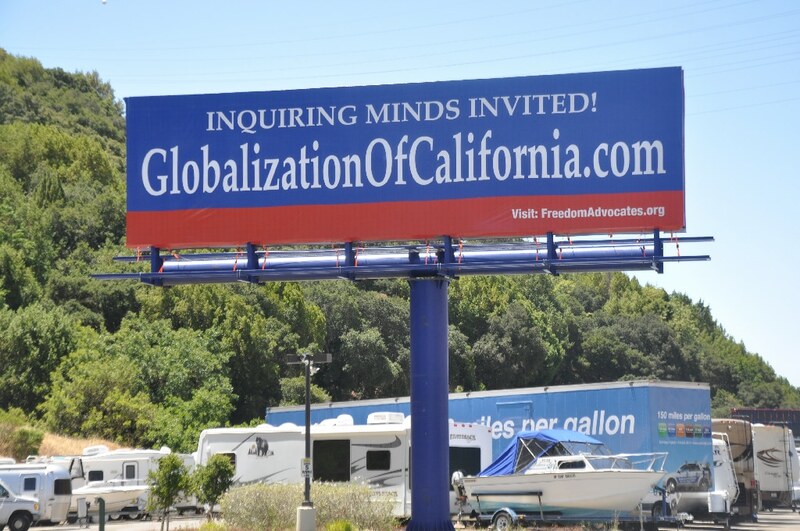 Michael Shaw, a founder of Citizens for Free Speech, has been active for over 15 years in national and local efforts to ward off the imposition of global governance. 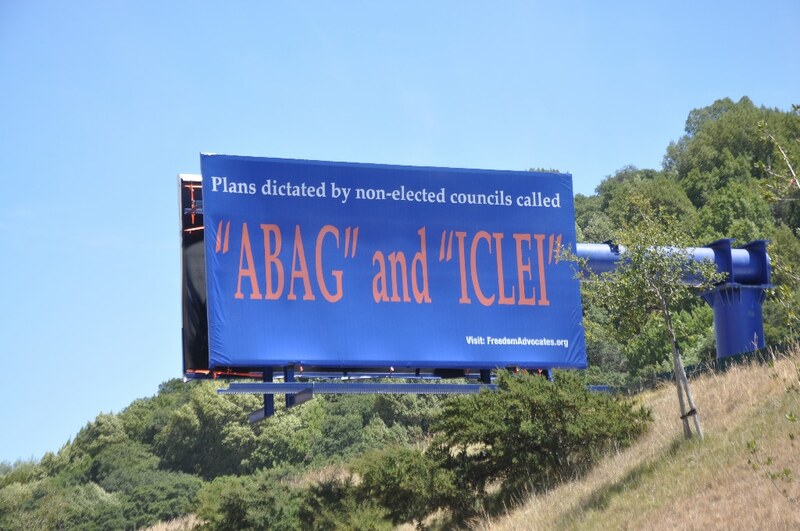 “This restructuring conforms to Agenda 21 policy that intentionally readies the Bay Area for ultimate designation as an independent city-state that conforms to globalist objectives,” Shaw stated. 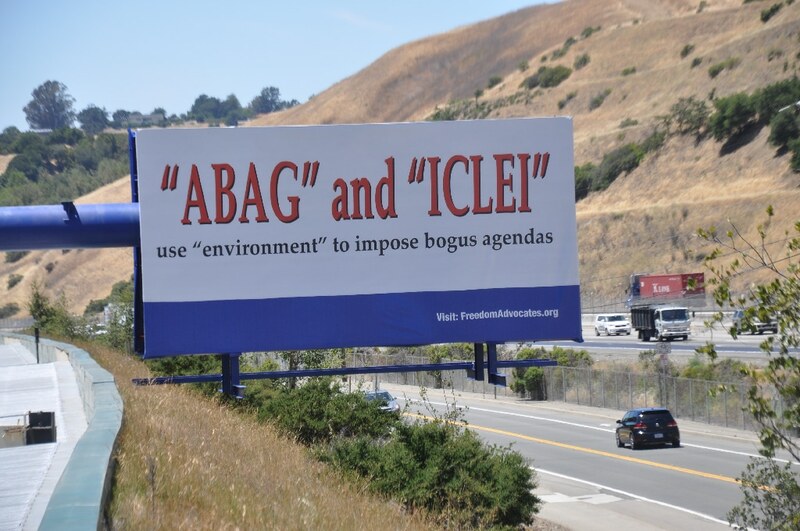 Shaw believes that California citizens have purposely been kept in the dark on these issues because their awareness would have pointedly blocked these globalist efforts long ago. “The silence must be broken and the plans exposed for what they are,” said Shaw.